I did end up changing my race plans for July and made it out to the Wilderness 101 in Pennsylvania at the end of the month. I also, significantly cranked up my training hours in July. Not anything to do with the Wildnerness as it would have been too late to do any specific training for that anways, but July was the first of 2 structured training builds that I have put together in preparation for the Marji Gesick 100 in September. 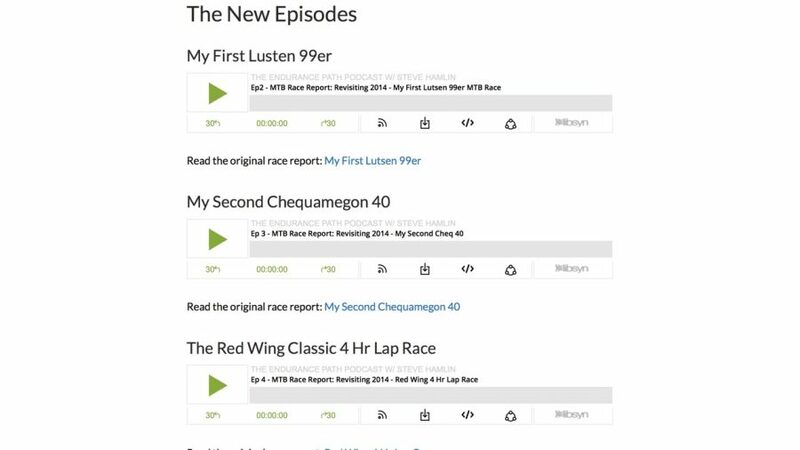 I also started a podcast in July, where you will also find an audio version of this race report with some off the cuff commentary about the month and a little more details about the training I was doing. As I mentioned, the audio version of this in podcast form is a bit off the cuff with more details and additional conversation. Check it out at the following links. I went ahead and grabbed a screen shot of my Training Peaks Calendar from the month for your viewing pleasure. Keep reading for some more details and explanation. I significantly kicked up my training hours in July. I’ve typically been a 3 day a week guy with a 4th day being only a really light recovery type ride, but I went to 5 days in July. I had 3 days of high intensity and 2 days of long endurance riding and even hit over 13 hours of riding one of the weeks. 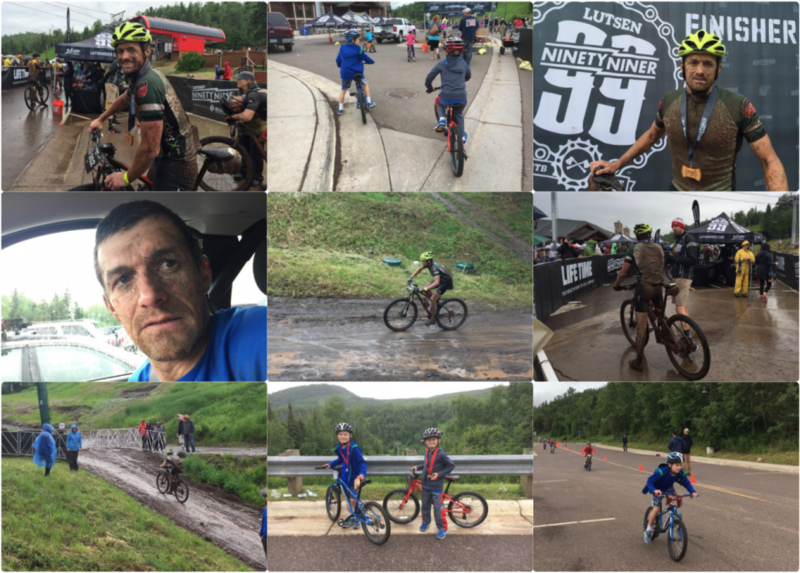 I didn’t do much riding the week after Lutsen, other than a lap around the campground that we stayed at on occasion later that week. I did get out for a couple hours of gravel the following weekend, but that was it. I treated the first full week of July like a recovery week, but was active as you can see and finished it with a threshold test. I don’t have my Kickr anymore, so it was just heart rate and speed. My heart rate threshold estimate came out to 171 bpm. My average speed on the Jet Fluid Pro was up 1 mph from the last time I did a threshold test on the Jet Fluid over a year ago, before getting the Kickr. I don’t expect my heart rate threshold number to really go up anymore, aside from maybe a beat or 2, but I was real happy with seeing my average speed up by 1 mph hour. That’s my gauge in place of having a power meter and until I get another smart trainer to measure power, I will be using that average speed to judge my power increases. I won’t dive into typing out the details of the other workouts here, but I may talk about them more specifically in the podcast version, so be sure to check out the podcast. That being said, my focus for this training period was force output, muscular endurance and general endurance. My workout plans were more of a hybrid late base & build period vs a pure build period. I cranked out big gears on my force intervals on Tuesday and the hills during my Saturday ride. Thursday’s ride was about muscular strength endurance and the Wednesday/Sunday rides were all about aerobic endurance. The 3rd week of the build, which was the last week of July was meant to be more like a traditional Joe Friel style build week that ended with a “B” race. My Thursday ride did not end up following plan as I rode the first climb of the Wilderness race and came out of that workout with double the training stress that I should have put on for having the race on Saturday, but I was interested in checking out that first climb. Without the race on Saturday, I would have stuck to the previous 2 weeks training schedules. Being that it was a 100 mile race on Saturday, I did adjust a little as I had burried myself pretty deep in the first 2 weeks and overreached a bit. At the end of the day, I ended up carrying quite a bit of fatigue into the race on Saturday. I only ran once this entire month and it was the weekend after the Lutsen 99er. I actually might pull back on my running plans of doing a half marathon in the fall. 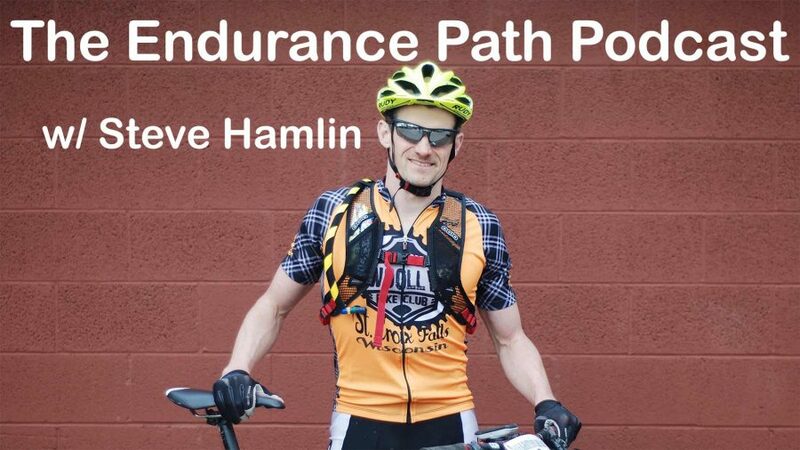 As of right now, I am getting reinvigerated with my joy of endurance mountain biking and might keep the running to some minimal cross training on occasion to mix things up for my legs. I’ll be taking a recovery week the first week of August and I might do a couple of light runs or hikes during this week before I get back to hammering my legs on the bike. I kept my strength training to mostly maintenance this month with my typical pushups and pullups, but I also included romanian deadlifts, bench presses and bicep curls. I completed the bench press as a superset with the push ups. Meaning I did a set of 10 bench presses and immediately followed them up with 10 push ups with my feet on a stability ball. The bench gave me a little bit of strength work, while the stability ball push ups provided for some upper body stability work and when combined in a superset, the total reps helped with muscular endurance. I also did force myself into some flexibility work. It’s one of those things that I know I need to do, but I’m just one of those antsy people that have a hard time settling down and relaxing to go through a solid stretch routine. That being said, I did keep up on some minor stretching and have almost no tight muscles after racing the Wilderness 101 and making the 16 hour drive each way. I actually used MyFitness Pal to log my food for a couple weeks at the start of the month. I think it was great, but I can only focus on so many things at once and decided to stop doing it. That being said, just logging it for a couple weeks, was really helpful in building an understanding of what my nutrient balance actually was. I even broke out my kitchen scale for the excercise. I might get back to it again this fall/winter, but I have enough to concentrate on right now. It’s not that I am not focused on keeping my diet rained it, but I’m not going to go to the extremes of logging the data right now. There is a chance that I will be changing my August race plans, similiar to what I did in July. I might skip out on the local series races in exchange for making another road trip at the end of the month. I don’t know that I’ll commit to the road trip till last minute, but I might go ahead and pull the plug on the local series events, just in case. A big part of me would rather put in my structured workouts for the Marji Gesick anyways. I like the satisfaction of nailing planned workouts and learning from them, just as much as I like racing. Not only do I enjoy the journey of the race itself, but I also love the planning and preparation for the big races. 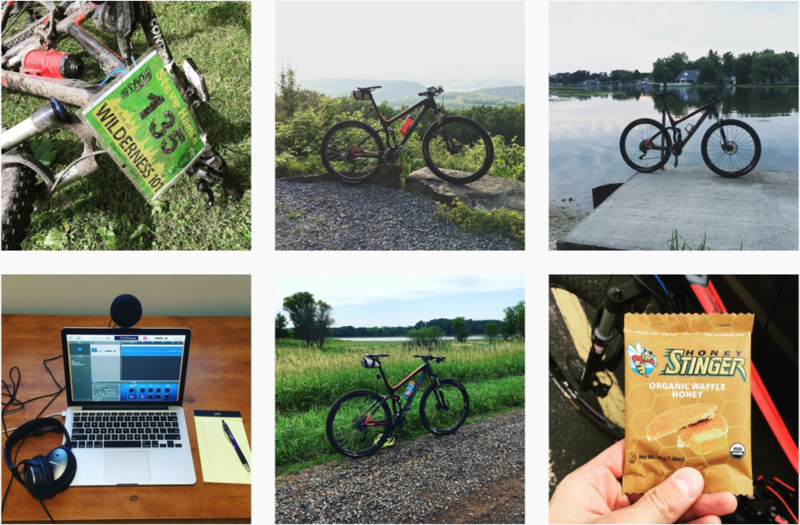 Just like I mentioned last month, I did enjoy all the local racing, but I really like the adventure of getting out to new events and riding new places. I’ve heard this is one of the best event weekends of all the NUE races and I think I can handle doing this 3 weeks before the Marji Gesick 100. I won’t decide on this for a couple weeks though. I want to see how quickly I recover from the Wilderness 101 and use that as a gauge to see if I can recover from Shenandoah quick enough to still get in some solid peak phase workouts and not blow my Marji Gesick race. Keep an eye on my Instagram account. If this happens, I’ll post a screen shot of my registration like I did for the Wilderness. Link to my Instagram Account Here. These can all be found on your favorite podcast players as well. If you can’t find it, please let me know. I’ve been adding new things to my resources page lately, so be sure to keep checking it out. Most notably this past month, I’ve expanded the Event Finder lists to include popular race series and bucklist events that are out there. It’s not meant to be a list of every event, but rather to help you find the big bucklist events or guide you to places to look for events. There is already some great event calendars out there and I’ve included links to those calendars as well. The mountain bike one is by far the one that I’ve put the most work into at this point. I posted this last month, but here it is again as it is still new. I’ll keep this Instagram account feed related to the stuff on this website vs some of the random stuff you’ll see on my personal account. You can still follow my personal account, but the new account will be dedicated to Endurance Path. I’ll be taking it easy this first week of August, but I’m looking forward to some hard structured training the rest of the month. I’ve got 2 weeks until the first potential race, so I’ve got some time to make my decision on which race plan I’m going with. If you have any questions about anything I shared, feel free to hit me up using my Contact Me page.